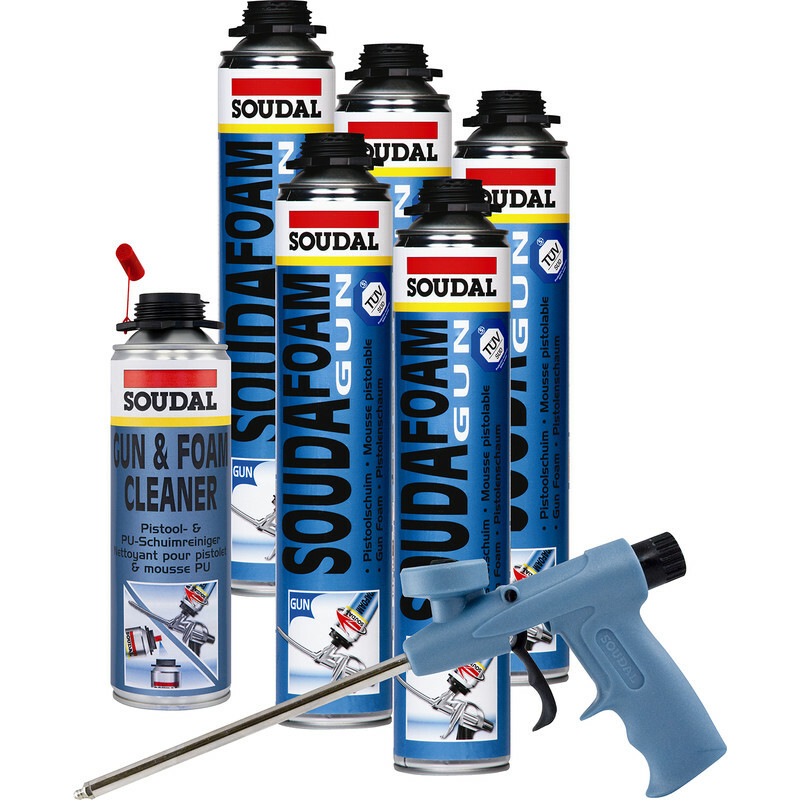 Kit includes: 5 x Soudal Gun Grade Expanding Foam 750ml, 1 x Gun & Foam Cleaner 500ml, 1 x Foam Gun. Foam features high thermal and acoustic insulation. For internal and external use. Expansion rate 30-40 times initial volume. Can be sanded and painted when cured.